As I keep saying, I've been super busy lately. But all that busyness has started to pay off... I have tangible things to show you to account for why most of my posts for the past month have been links posts. This blog post is going to be all news- I have three things I want to tell you about, two of which account for my whereabouts these past few weeks, and one of which was just a nice surprise I want to share. Sadly, I may still be scarce around her for awhile more... but this time it will be because we're in the end of the school year silly season and because we have a vacation coming up. Still, my self-induced work hecticness is winding down, so maybe I can squeeze in some more blog posts. I miss rambling on about my life. Item 1: Academaze is now ready for pre-order! Honestly, this one should have confetti or something, because this is the biggest book I've ever published and it has a bunch of cartoons which added some complexity to the publishing process... so it was a lot of work with some new things to learn. But, it has turned out great! You can just imagine the confetti, though. I know how to make text blink in HTML (I'm old and old school....) but I won't do that to you. Academaze is a collection of essays and cartoons from the awesome woman who blogs at Xykademiqz about life as a professor at an R1 university. 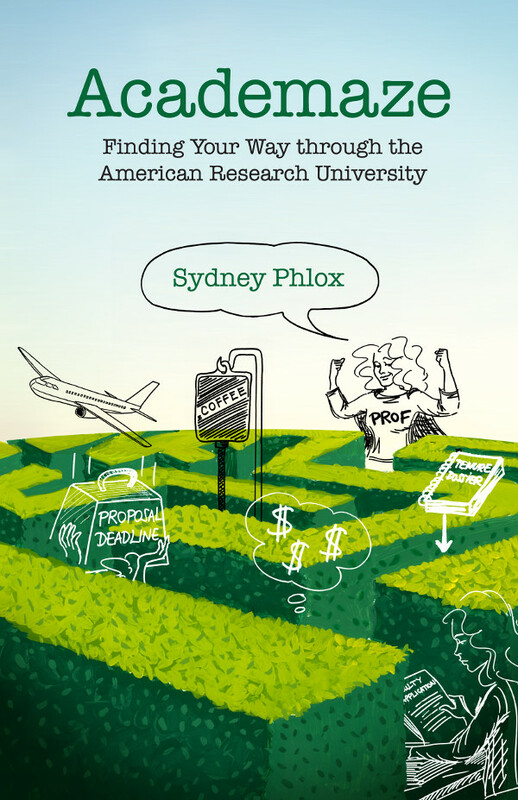 If you're on the tenure track, this book will give you some advice about how to navigate that track successfully. If you're thinking about getting on the tenure track, it will tell you about the job search process and give you a peak at what you'll be signing up for. If you have tenure, it has ideas for handling departmental politics and mentoring your students. And if you're a bystander to this whole academia thing, it will tell you what, exactly, professors are doing all day when they aren't in class. Plus it is fun to read and the cartoons are amusing. So all around, a great book to get. You should totally pre-order it. Here's the Annorlunda news post about the pre-order, with links to all the retailers and more information. 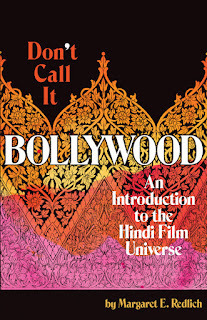 Item 2: Don't Call It Bollywood comes out tomorrow and to celebrate, the author and I are hosting a Twitter watchalong of a Hindi film on Thursday night! It was totally worth it, because they are both great books and I wanted to get them out to readers before the summer doldrums hit. And I did it! I'm on schedule for the Academaze release, and Don't Call It Bollywood comes out TOMORROW. 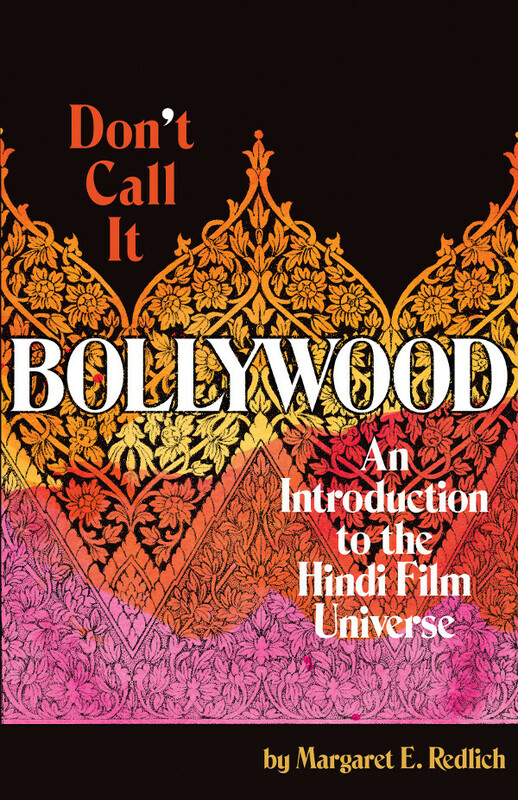 If you've forgotten what Don't Call It Bollywood is about, it is an introduction to Hindi film that gives the reader the historical and artistic context to fully appreciate these films. Author Margaret E. Redlich writes in a conversational tone and intersperses some stories from her own personal path to devoted fandom in with the history and analysis, making this a very approachable book to read. And, after reading it so many times during the production process I'm very excited to actually watch a Hindi film! Margaret has chosen Kabhi Khushi Kabhi Gham for our celebratory watch along, and you are all invited to join in the fun. It starts Thursday at 6 p.m. PDT/9 p.m. EDT. I'll be tweeting from the @AnnorlundaInc twitter account, and will also retweet a few things into my @wandsci timeline. Full details of the watch along are available on the Annorlunda news page. This is the "wow, that's a pleasant surprise!" item. My June royalty statement from my publisher included a note that my books will now be available in Kindle Unlimited. Usually, to be included in Kindle Unlimited, you have to be exclusive with Amazon. However, Xist Publishing has negotiated a deal with Amazon that gets its books into Kindle Unlimited without the exclusivity requirement. So you can still get The Zebra Said Shhh and Petunia, the Girl Who Was Not a Princess at other retailers and via other subscription services (like Epic), but it is now available to read for free if you're a member of Kindle Unlimited. This probably means more royalty income for me, which is nice. But it is also a really big deal for my publisher, and I'm happy for them. In somewhat related news, one of the things I cut from my to do list in my push to deal with my tight publishing schedule was updates to the book blog at mrnelsonbooks. I'm going to start posting there again now that I'm through "crunch time" and will start sending out the newsletter again, too. I've also been working on a new story, which I hope to start sending out to publishers soon. It is in its final tweaking stage. So who knows? There might be more kids' book related news from me at some point in the future. In the meantime... check out the two new releases I have coming up from Annorlunda Books, and if you're tempted to join the watch along, please do! I think it is going to be a lot of fun. Big congratulations on managing to get both books out! Thanks! I've got another one coming along at the end of July, too. A busy, exciting time for Annorlunda Books! Thank you so much for your hard work, Cloud! 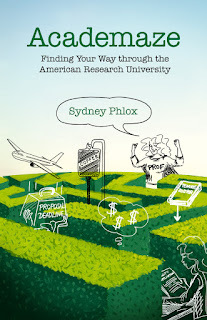 Academaze turned out great and I am very excited to see it out. And thank you for the great material! I'm excited to see it released, too. Both books are available in a Spanish/English bilingual edition. Really looking forward to xkyademiqz's book. Great to see two of my favorite bloggers working together on a very cool project! Sorry I didn't volunteer to be a pre-reader / reviewer. End of the semester craziness followed by a much needed vacation precluded that.